Tecspot Meraki and SimplyBengals Sealed With A Kiss have combined their super genetic mix to produce this perfect little kitten! This exotic and wild looking brown rosetted F2 boy is growing fast! Here, he is pictured here at 2 weeks of age. 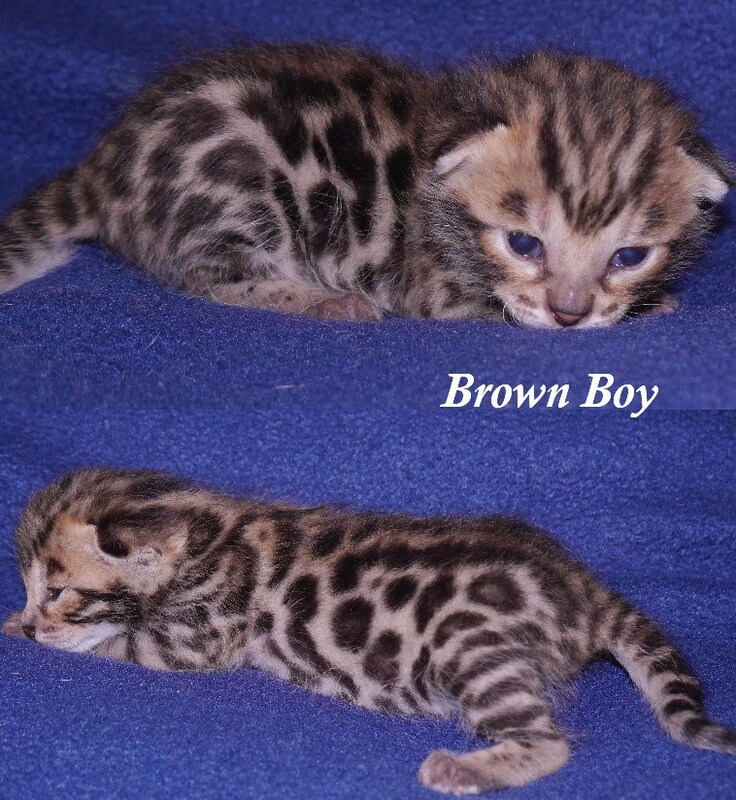 This entry was posted in Bengal Kitten Gallery and tagged Bengal kitten, Brown Bengal. Bookmark the permalink.